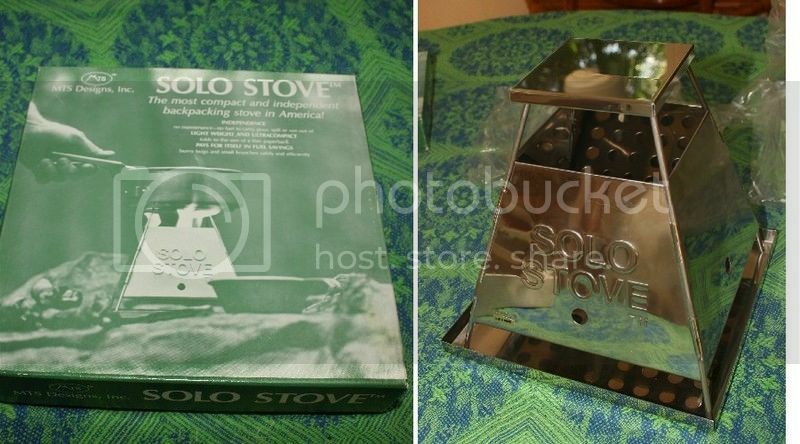 Found this at the local thrift store..A Solo Stove..made in Taiwan..most be an older one because it does say "light weight"..but is 1lb 3oz(the pieces only in the plastic bags)..brand spankin' new though!The reflections of the plate with the holes in it inside are just the flat portion that connects onto the bottom of the side pieces for a baseplate for firewood,fuel,or a an alcohol stove to sit on..interesting design! 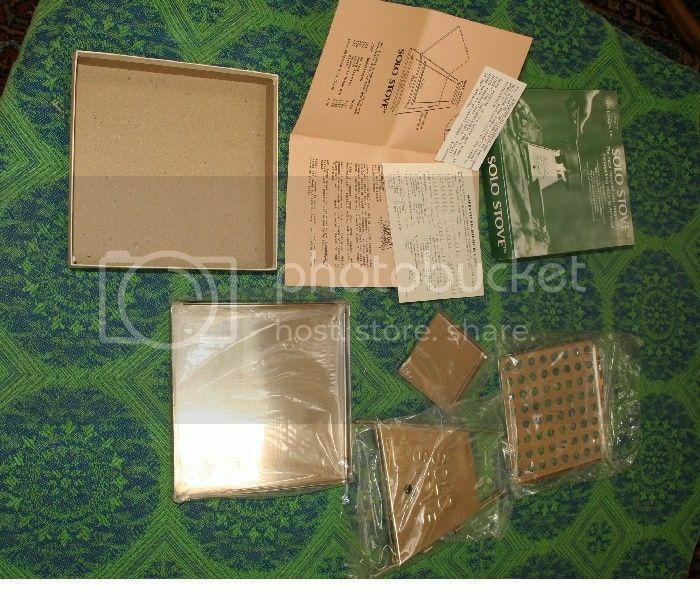 Another thing I've been searching for for quite awhile.. and one of my ultimate scores lately. 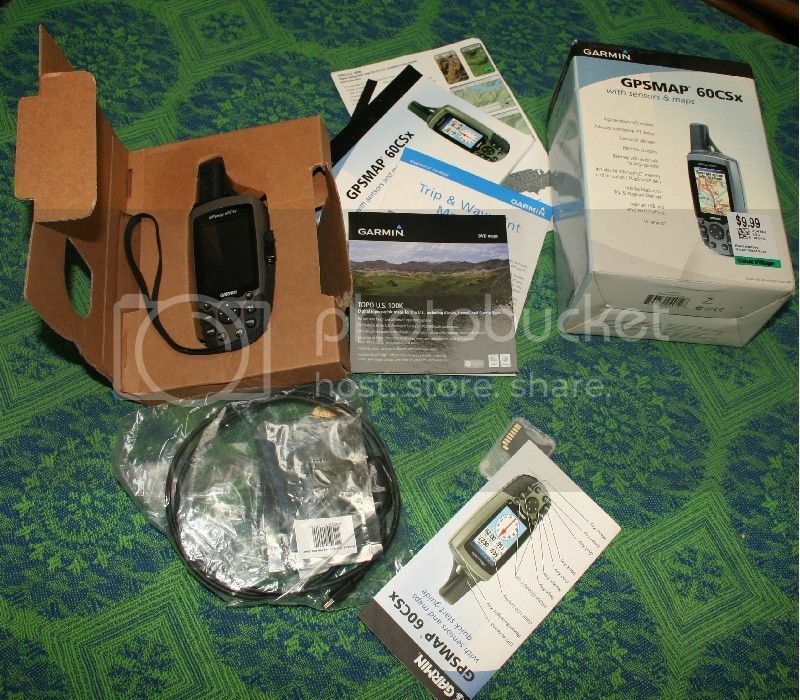 .A Garmin GPS.. model 60 CSx..as brand new complete with the 100K Topographical DVD that shows trail maps for the US(Including Puerto Rico! )..all loaded and ready to go with an additional 2g micro Sd memory card(and the 1G one)USB cord,lanyard,and a belt clip mount. Re: Another thrift store score..or two.. They are users of the heavier wood burning stoves. Yes you're right....todays smart phones have the same features as the garmin. Which of the two are you going to keep? I'm keeping the garmin..been looking for one that has trails for a long time.I've bought several others over the last few years but they only seem to work for roads.A Magellan Explorist 400 is supposed to work for trails but I never sat down and figured that one out.. Someday I'll be listing most of my hiking stoves...when I can whittle my way down through the pile to that 4 drawer file cabinet full of them.. . They are stacking up around the cabinet..no more room in there..
Smart phones are amazing but awesome score on the garmin. As far as the stoves go, buy another file cabinet at the thrift store or garage sale. I passed one up yesterday (4 drawer) with the bottom drawer being a firebox for cheap but I am in the thinning out mindset. Actually..I have three FULL file cabinets there.The other two have camp cookware,water purifiers,tents and hammocks..or materials for making the latter(straps,strapping material,nylon,tent pegs,hammock hanging strap sets,etc..etc..There's another bookcase above and boxes of more homemade stoves and boxes of more stuff there isn't room for..Yeah..I'm also ready to "thin the herd"... I don't have any more room there for another file cabinet or anywhere to put one. but I am in the thinning out mindset.